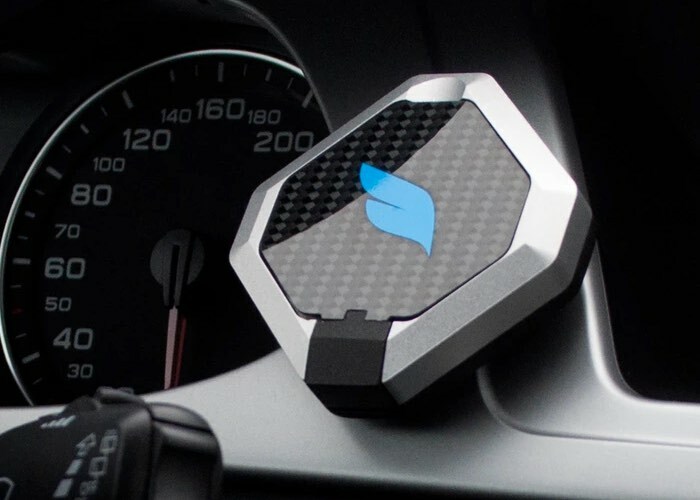 The Kiwi Factory based in London have designed a new smart amount for your car called the Bluejay which has been designed to seamlessly connect your phone to your car using Beacon technology together with an integrated smartphone application. Rather than providing a plastic holder for your smartphone the Bluejay has reimagined what can be possible using current technology and provides users with a sleek device with three different mounting accessories depending on where you would like it in your car. Check out the video below to learn more about this new smart amount which is taken to Kickstarter to raise $80,000 over the next month. Constructed from carbon fibre the new smartphone car mount is now available to pledge for from $79 for early bird backers. For more information and to make a pledge on the new smartphone car mount jump over to the Kickstarter website for details.